This week on Curmudgeon’s Corner, Sam and Ivan do get into politics a bit, talking about the trade wars, 3D printing guns, attacks on Election 2018, and the separated kids at the border. But mostly the show is a lightning round show, so there are a lot of non-political things too. 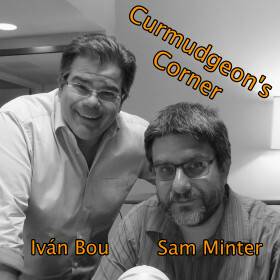 So you also get to hear about the rest of Sam’s road-trip, some books and movies, Apple’s milestone, and some feedback we received a while ago. Sam: Attacks on Election 2018?